This brain basher that starts with a note declaring the movie a tribute to Kishore Kumar, Jim Carrey and Peter Sellers. (God Kishore da must be hoodling in pain from the heavens). Seriously they should have also added Sajid Khan, the director, in the tribute to make way for a rescue as things have gone agonizingly wrong. 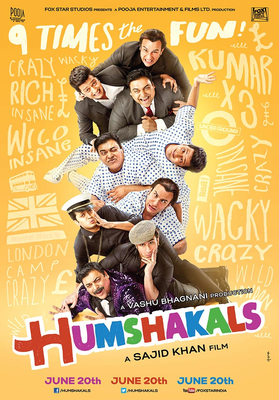 Humshakals has received flak ever since its first trailer was released. The Sajid Khan film hits theatres on Friday. Has it proved to be a disappointment or is it any better?